Best ideas on bedroom makeover and design ideas. At the end of the day, you are hankering for a calm sleep but your dirty, odor-filled bedroom turned you off. No one likes a smelling bedroom, as this is the place where one stumbles to get calmed and relaxed. If you want to make your bedroom a heaven of peace and freshness, then just do some ingenious improvements to help spice it up. But how? You can first start with linens then followed by wall paints. If you are looking for more then spice up your bedroom with the following tips that are given here. 1. A new setting – Arrange all the things in your bedroom properly. You must keep things in a way, which makes the bedroom more spacious. You can bring a new wave of freshness in the room by adding tints of pastel, green and red colors. A combination of wooden furniture and a handcrafted vase kept on your side table would make you enjoy the freshness of your bedroom’s new look. 2. 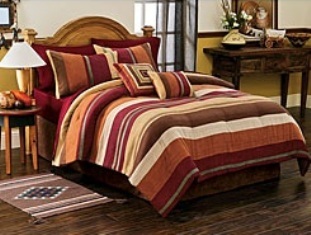 Vibrant Bed – It is not just a designer bed that will help make your bedroom striking. You need to bedazzle it by adding colors as well. If the color of the bed is glossy then you can opt for a pallid shade for the bed linen. This will give a contrast to the bed. 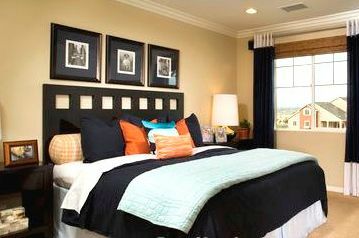 Nonetheless, if you love bright colors then go for colors, which you feel is the most suitable for your bed. 3. Peppy Pillows – Pillows are not only to complement bed linens and curtains, they are important for your comfortable nap too. A selection is very important to make your bedroom better. A peppy pillow adds cheer to the bedroom and also lets you enjoy an unhurried snooze. 4. 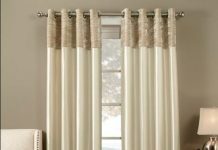 Dazzling Drapes – Curtains are one of the most important assets of your bedroom. One must make a wise decision while selecting curtains. You must opt for bright curtains as these colors add a new dazzle to your room. Suggested colors of drapes are respectively: yellow, green and indigo. 5. Light colored walls – A light painted wall is very important to give a cozy feeling to your bedroom. You can opt for moss green, baby pink, powder blue or lemon. But if you want an elite touch then go for whites and beiges. If you want to maintain the freshness in the room, textured walls can be your choice. These are supposed to be the best to break the visual monotony. It won’t let you get bored with your bedroom. 6. Bring the nature inside your room – A tint of green blended with vermilion hue brings the nature inside your room. Keep some small plants in a corner and get one side wall painted in pure natural colors. A nature painting can also bring a similar effect. 7. Say bye to those old mosquito nets – Ohh! Mosquito nets make it all wrong. You do not want to use those old tacky net. Go for some modern equipment to shoo away all the flies and mosquitoes. 8. 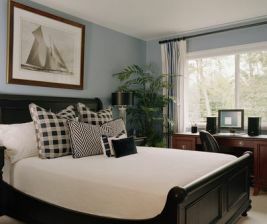 A selection of soothing colors – The color you chose for your bedroom is very important. Colors have an emotional connection. 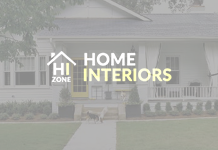 In accordance with known writer Sharon Hanby-Robie and Deb Strubel, who have written ‘Beautiful Places, Spiritual Spaces,’ one should decorate his or her home with the colors, which is adored by his or her family. It is not about the latest trend and suggestion of fashion guides. In a case when you are not coming up with a firm decision, you may need to be creative with bland colors. Just find out which combination is going fabulously. 9. Use the best of your decoration skill – Many people use their best decorating style to jazz-up their living rooms, den areas and kitchens. These places are more likely to experience influx of guests. However, the bedroom is always cornered, as visitors rarely make an entry inside the bedroom. But if you want a comfy touch in your bedroom, you must save the best of your decorating sense for it. Add some shades of romance to it and turn your bedroom into a cozy and romantic abode. Nonetheless, while decorating your bedroom you must also use the best skills of decoration; just don’t leave a cluttered trace to it. 10. 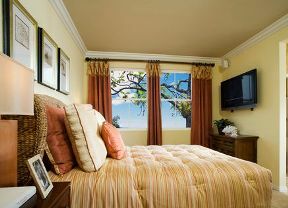 Rejoice the past memories – A bedroom always possesses a connection with emotion. You brought nature inside the room to tempt your gentle feelings. But it is the turn of old memories that stimulate that old familiar sensation of yours. Decorate the area with old pictures, dried flowers that you received for the first time from your special friend, collage comprising of pictures of close relatives and many other more. To incorporate these memories, you do not need a big photo frame. You can make these pictures printed on ceramic flower vases, coffee mugs or even on the cupboard’s door. Relish the memories with these attractive prints. 11. The bedroom is not the lumber room – Your bedroom is the most precious corner of your home. It is not a garbage centre. You should arrange all the things in the bedroom very well. Make it roomier and keep unnecessary things outside the room. You should use the stockroom to store things and your bedroom to get relaxed. An amalgamation of both will cause noting but irritation. 12. 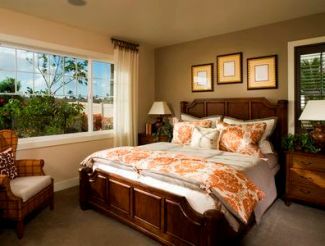 Fill the aroma inside the room – An aromatic bedroom will not bring a celestial feeling but also make your mood. 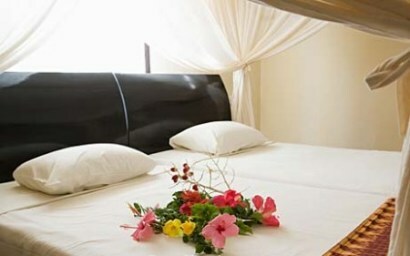 After a hard and busy day, you need something refreshing and soothing, lie down on your soft bed that is filled with pleasant flowery fragrance. To give such mood to your bedroom, you need to do nothing but just spray some pleasant scents to your bed and drape linen twice a week. 13. There are many more ways to keep the bedroom fresh and cheery. You can keep Potpourri oil holders in the bedroom to make the air fresh. Its light scent works as a wonderful relaxing agent. To give elegance to the room you can opt for striking oil holders. It will be a surplus in the décor of your bedroom. 14. You can put some of your favorite scents on the air conditioner vents. They are supposed to be the best way to keep the room fresh. 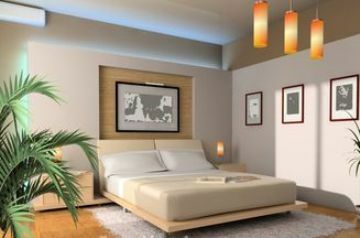 An appealing interior not only gives a soothing feeling to your bedroom but also makes it more relaxing for you. The place, where you lie down to get energized for next day, should be the most peaceful part of room. Spice up your bedroom to give such mood.